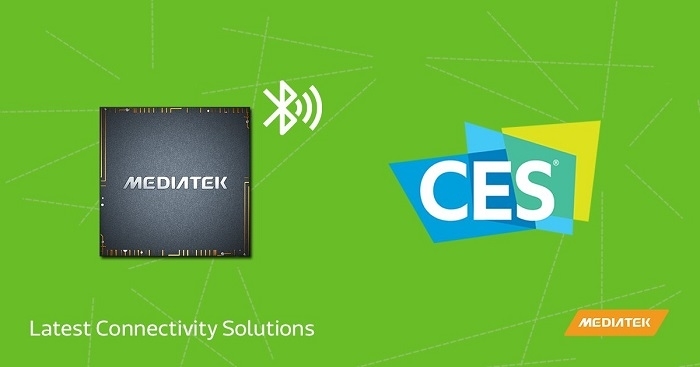 At CES 2019, MediaTek has announced that its newest intelligent connectivity chipset supports the next generation of Wi-Fi technology - Wi-Fi 6 (802.11ax) - for home and enterprise wireless network services. It will support a range of products including wireless access points, routers, gateways, and repeaters, bringing faster and more reliable connectivity throughout the smart home. MediaTek’s Wi-Fi 6 chip support 2x2 and 4x4 which comply with the most updated standards. The Wi-Fi 6 chip also has a flexible architecture to support updated features when the Wi-Fi 6 specification is finalized later in 2019. Orthogonal Frequency Division Multiple Access (OFDMA): Uplink and Downlink OFDMA increases efficiency and capacity of wireless network devices. It ensures bandwidth for voice, video, social network and gaming applications via download and uplink scheduling. Multi-User MIMO (MU-MIMO): Increases channel capacity when servicing multiple devices that operate simultaneously. Target Wake Time (TWT): Defines the specific times when clients wake and sleep enabling IoT devices to reduce power consumption and increase battery life. Spatial Reuse: Allows access points to share channel capacity by making intelligent decisions on when to transmit data. MediaTek also brings unique built-in solutions to its chipset along with meeting the newest Wi-Fi standard to improve the end-users experience. MediaTek connectivity technology, empowered with OFDMA, 1024QAM solves data traffic conflicts. It reschedules multi-users packets and provides a higher internet data rate so there is no lag while playing on-line games or streaming video. It also delivers better concurrent performance between Wi-Fi and Bluetooth with the latest Wi-Fi 6 access point + Bluetooth combo chip to guarantee spectrum efficiency when two radios work simultaneously. MediaTek also supports and is leading the deployment of the Wi-Fi Alliance EasyMesh standard for extended Wi-Fi coverage. MediaTek’s family of smart home chipsets will be EasyMesh compatible. The new standard extends the Wi-Fi signal for total access in the home or even into the backyard. To learn more about MediaTek’s connectivity and networking solutions, click here.